One of the several "raw" food vendors at the 2005 Green Festival in San Francisco. All vegan and nothing cooked. 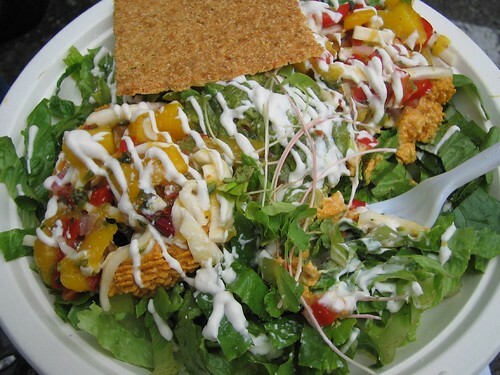 This was Vital and Alive's tostada salad. The cracker was dehydrated, the not-cho cheese was red pepper hummous, mango salsa, etc. Very tasty and interesting.